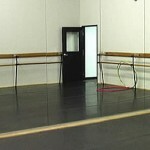 The Maple Conservatory offers a state-of-the-art dance facility that is designed specifically for professional dancers. 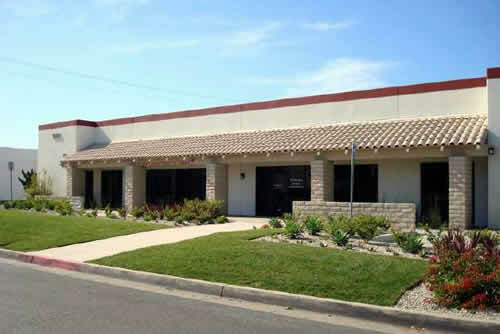 We are conveniently located in the Irvine Business Complex with easy access to the 405, 55 and 5 Freeways. 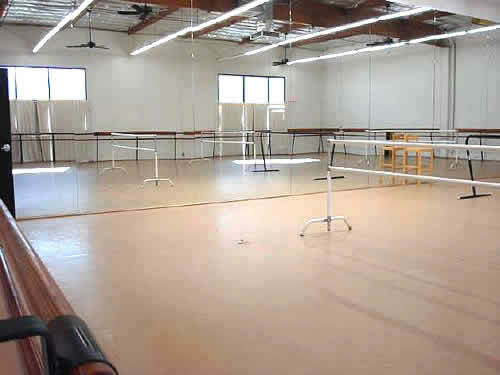 We are one of the largest ballet schools in Orange County, with four large dance studios. 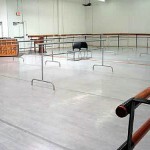 All of our studios are specifically engineered suspended floors using a basket-weave approach with neoprene padding designed to help avoid injuries to the dancers. 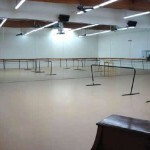 The top layer for our ballet studios are finished with a professional Marley floor. 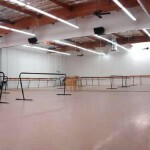 Our facility has been the choice for auditions of the schools of Boston Ballet, Los Angeles Ballet, Princeton Ballet, School of American Ballet, San Francisco Ballet, University of North Carolina School of the Arts and others. 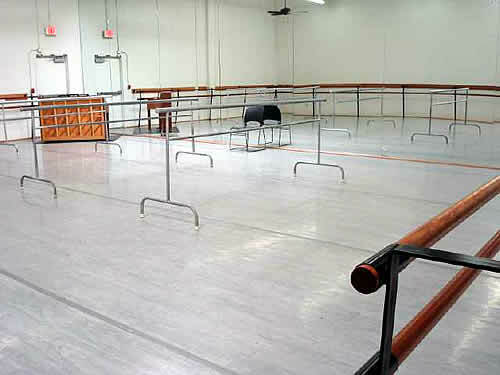 The Maple Conservatory of Dance is the home of The School of American Ballet’s California Workshop for Young Dancers. 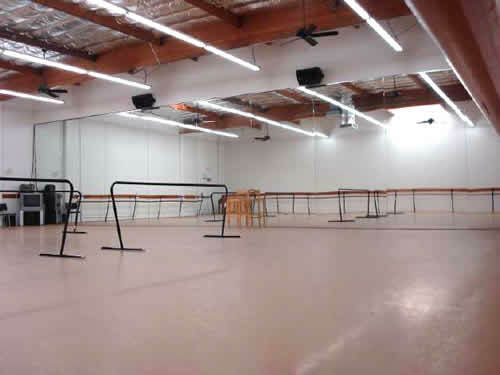 Our facility is approximately 13,000 square-feet and is one of the largest dance facilities in Southern California, featuring two large & spacious dance studios, two medium-sized studios, and separate room for conditioning. 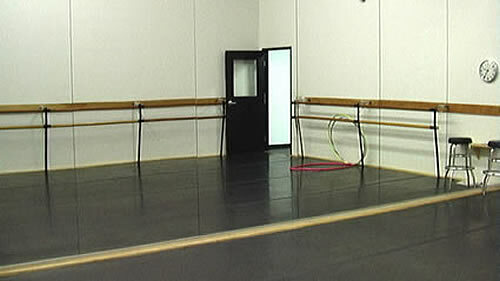 Dance studios are available for rent. Please Contact Us for more information. 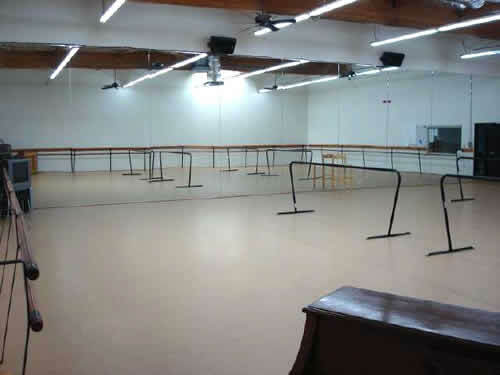 Our two largest studios, each measuring 54′ wide x 43′ deep with sprung wood floors featuring new Harlequin Cascade flooring, 14 ft. high mirrors, barres, 18 ft. high ceilings, windows, ceiling fans, skylight, lighting & sound system, and a piano. This studio is 40′ wide x 30′ deep with sprung wood floors covered with marley, 14 ft. high mirrors, barres, 18 ft. high ceilings, windows, ceiling fans, skylight, and lighting & sound system. 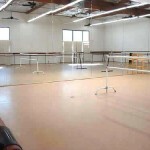 This studio is 35′ wide x 30′ deep with sprung wood floors covered with marley, 14 ft. high mirrors, barres and lighting. We invite you to contact us to learn more about the Maple Conservatory and how to enroll.